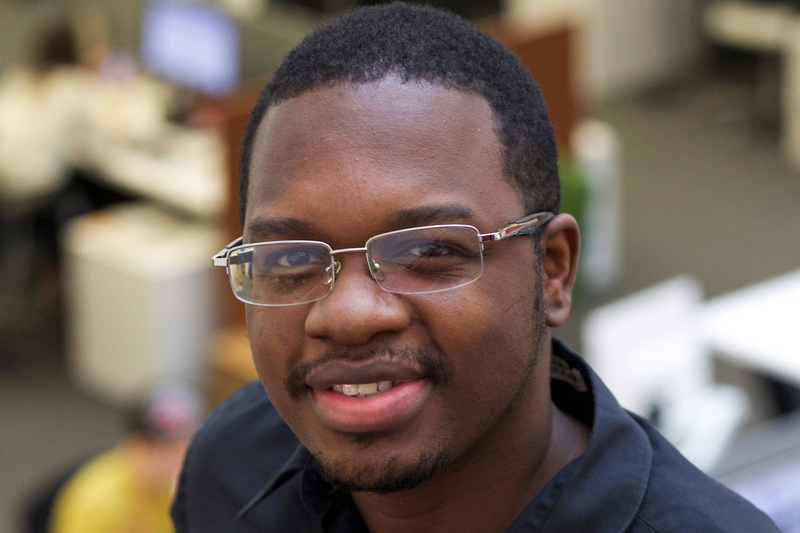 The path to journalism for 28-year-old J. Gabriel Ware wasn’t conventional. A creative writer who grew up in Detroit, J. Gabriel might have taken a different path in life were it not for a broken I.D. card and a school security guard. The school he attended, Redford High, was one of the city’s most notorious, and required an identification card checked by guards in order to get in. When J. Gabriel tried to enter one day with a broken card, he got into an altercation with the guard and ended up on the ground with a knee in his back and on his arm. The incident grabbed the attention of J. Gabriel’s friend, who happened to be the editor in chief of the school paper. She asked him to write a column about the incident. He wrote for the paper the rest of the semester, but poor grades kept him from enrolling in college right away. Eventually, he found work at a Detroit Lions pro shop. J. Gabriel decided to pursue journalism, inspired by a manager who had worked for his own college paper. J. Gabriel got his associate degree at Wayne County Community College, a bachelor’s in journalism at Western Michigan University and, in April, a master’s degree in communication at the University of Western Michigan. While working on his master’s, J. Gabriel landed an internship with the nonprofit Yes! Magazine, a publication based in Bainbridge Island, Wash., that spotlights community initiatives. Today, he’s working remotely for Yes! as a contract reporter, and has big plans for the Detroit area.